Give your decor a fresh little pop of pizzazz with this plush and pretty area rug. The thick, resilient weave is both soft underfoot and durable, holding up to years of high-volume traffic. 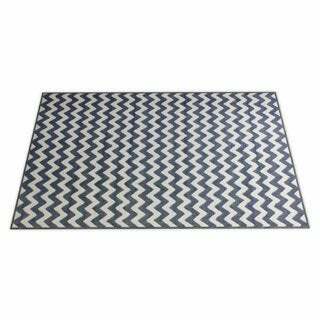 Jazzy stripes of color and white in a dazzling chevron pattern elevate your decor with bold dimension and fabulous style.